FLAT TWINE– use it everywhere! 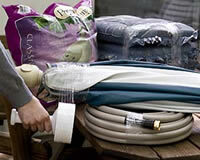 Replaces tape, twine, string, strapping and even bags and boxes for some applications. Need a vise or clamp to hold it together? 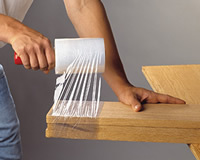 Use Flat Twine to hold the project together while the glue dries. 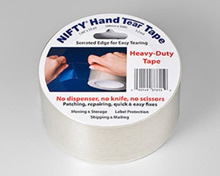 No adhesive residue, no surface marring. It can be any size you need and be applied in any direction. Available at leading hardware stores nationwide. ©2018 Nifty Products, 4 Jocama Boulevard, Old Bridge, NJ 08857. All Rights Reserved.